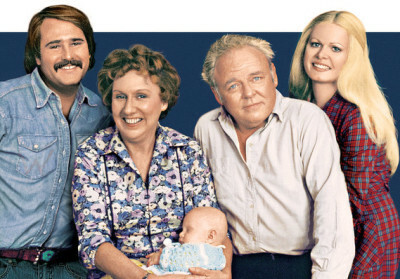 What British Show Was the Basis for All in the Family? # Premiered on this date 45 years ago today. Norman Lear deservedly gets the credit for creating All in the Family, but he was basing his show off a British one named Till Death Do Us Part that launched back in 1965. The story featured an offensive curmudgeon whose daughter had given him a liberal son-in-law to add to the list of things he complained about. Sound familiar? 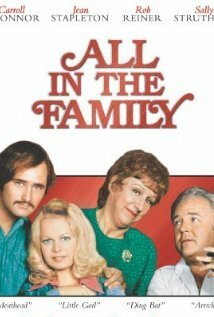 The story goes that, several years before All in the Family launched, Carroll O'Connor was once reading about the British show in the newspaper when he told his wife that you could never run a series like that in the States. How Did America React to the Offensive, Boorish Archie Bunker? # Because nothing says America like complaining about everyone else. CBS knew they were playing with dynamite when the show launched. Archie Bunker was an offensive jerk, and he would be taking the place of all the vanilla and lovable fathers who had populated the airwaves up to that point. They aired a disclaimer before the first episode which said, "we don't believe all the offensive things Archie is saying, please don't hate us" and they even hired a team of extra operators to handle all the calls from upset viewers they might receive. Turns out no one minded. Sure there were individuals here and there who were offended, but the vast majority of Americans loved the guy. The show even inspired a wave of "Archie Bunker for President" paraphernalia. Unlike Her Character, Jean Stapleton Was Actually Quite Good at What Form of Performance? 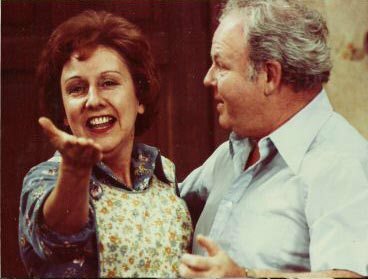 On the show, Edith Bunker was famously a terrible singer. But the woman who played her, Jean Stapleton, was anything but. The daughter of an opera singer, she appeared in musicals on Broadway throughout her career. She was also far smarter than Edith Bunker though you figure she'd have to be. As for Carroll O'Connor, pretty much everyone who knew him agreed he was a sweet and sensitive guy, nothing like the jerk he played on T.V. Norman Lear Threatened to Do What If Carroll O'Connor Continued a Contract Holdout He Started in 1974? For a time, there was a chance that Norman Lear might do the unthinkable: Kill off Archie Bunker. Carroll O'Connor and the studio locked horns on a contract dispute in 1974, and CBS filmed several episodes without their star. They decided that if push came to shove, Stretch Cunningham could become the new star of the show and move into the house to help the family grieve once their patriarch died. O'Connor eventually came back, and it was Stretch who was killed off a couple of seasons later. Was the studio serious, or were they just bluffing? We don't know, but man is it tough to imagine the series without Archie Bunker.